I have a secret garden. It isn't much of a secret as I keep telling people. 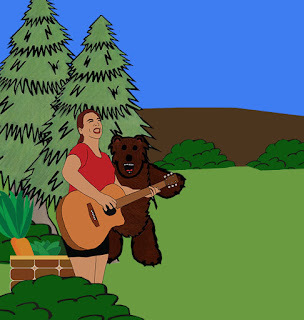 I also have plans of putting up a sign, leading to my secret garden. It consists of 3 apple trees, two of which are in full blossom this year. I plan on planting more veggies and flowers in this garden and maybe building a bench. This afternoon, I gathered up a grocery bag and filled it with apples. Cut away the stem and the blossoms and then cut your apples into quarters if large and in half if small. It's okay to leave the core and the seeds intact. Add water until it reaches the top of the apples. Bring to a boil and reduce to medium heat. 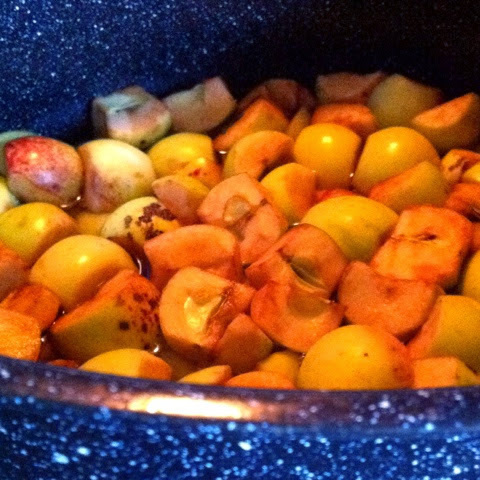 Cook the apples until soft. Feel free to mash them up a little. 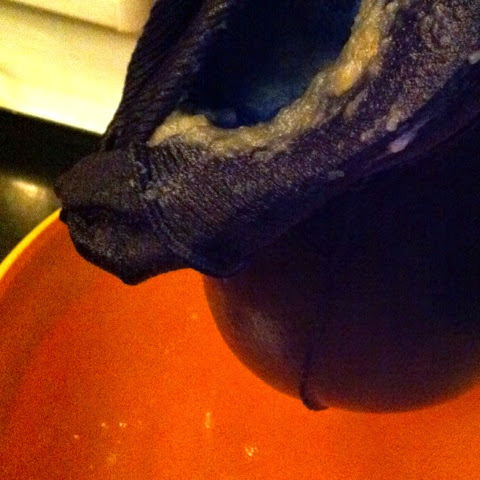 Place the apple sauce mixture into a cheese cloth and allow the juice to drain. Don't double up the batch because the jelly might not set properly. 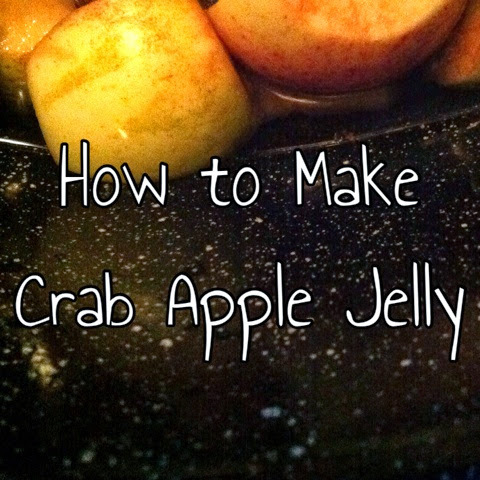 It isn't necessary for crab apples because they have their own natural pectin. I still like to add it. and 7 cups of sugar. If you want low sugar jelly, replace the regular pectin with no-sugar pectin and use only 4.5 cups of sugar or low calorie sweetener. 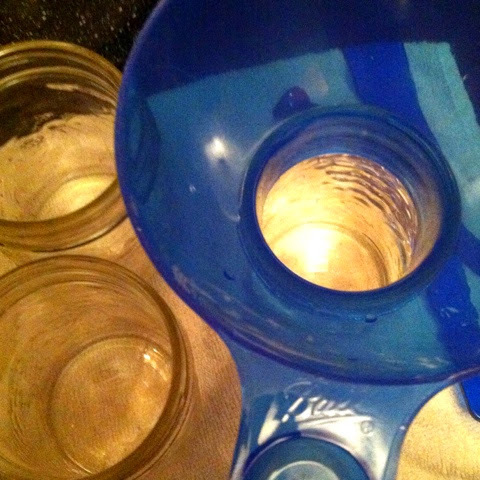 Make sure your jars and lids have all been sterilized. Bacteria can spoil the batch. 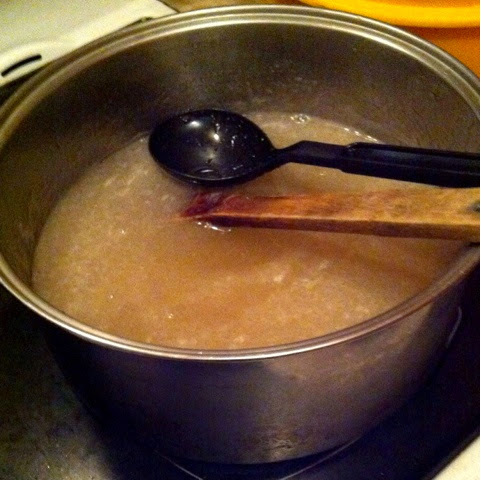 Boil the juice, pectin and sugar mixture for approximately 10 minutes. Spoon off any foam. You can test it's thickness by putting a spoonful on a saucer and sticking it in the freezer for a couple minutes. If it is thick enough fill your bottles up and process them. Afterwards, unscrew the metal rings and let the containers sit untouched overnight. If any of the lids didn't seal correctly place that jar in the fridge and use it up right away. 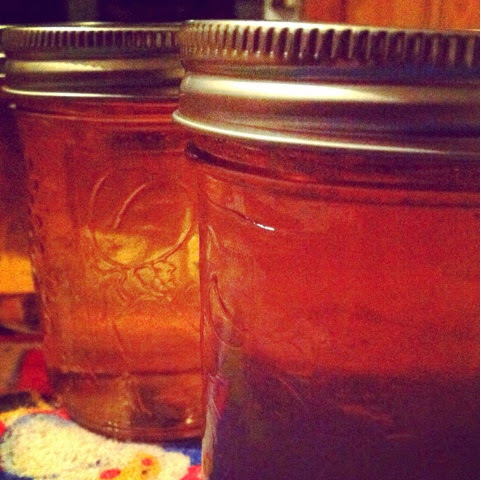 The sealed jars should be stored in a dark place and can be kept fresh for about 8 months. Don't forget to label and date your jars!